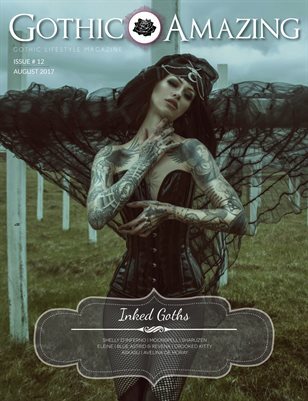 G&A issue #12 Inked Goths Find inside interviews with the multi-talented model Shelly d’Inferno and the Portuguese metallers Moonspell. Also, interviews with the tattoo artist Sharuzen, Polish designer Askasu and Avelina De Moray about her handbag designs. Read about the history of tattoos as well as how to honor the Goddess Hecate with tattoos. In this issue we have included a four-page column with fan submissions and the history behind their tattoos. Editorials by Eleine, Blue Astrid & Revena and Crooked Kitty.